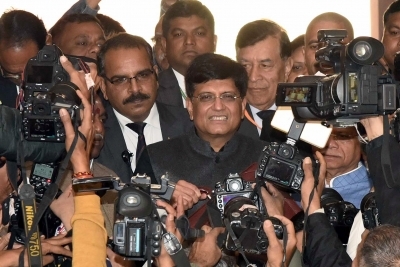 Chennai, Feb 1 (IANS) The Union Finance Minister Piyush Goyal has proposed an allocation of Rs 11,538.26 crore for the Department of Space, in his interim Budget for 2019-20 presented in Parliament on Friday. According to the Budget papers, a sum of Rs 11,538.26 crore has been proposed for Department of Space for 2019-20, up from Rs 11,200 crore as per the revised estimates for 2018-19. The funds proposed towards space technology has rocketed to Rs 7,482.59 crore for 2019-20 from Rs 6,992.60 crore as per revised estimates for 2018-19. The space technology head consist of activities of different centres of Indian Space Research Organisation (ISRO) including the newly formed Human Spaceflight Centre. However the sum proposed to be allocated for development and building of INSAT/GSAT satellites is proposed to be cut to Rs 884.42 crore for 2019-20 from Rs 1,330.20 crore as per revised estimates for 2018-19.